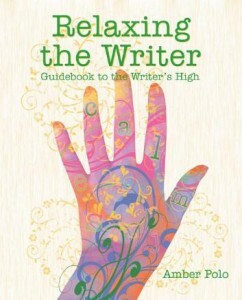 You don’t have to be a writer to learn to relax! A travelogue of hints, exercises, and whimsical side trips to help the stressed writer breakthrough the physical and mental limits to creativity. From aromatherapy to zumba, find hundreds travelogue of hints, exercises, and whimsical side trips to help the stressed writer breakthrough the physical and mental limits to creativity. Written with the special needs of writers in mind, anyone who spends time in a chair will discover useful tips to escape the dangers of sitting. Suggestions range from centuries-old techniques like meditation and yoga to iPad apps. Browse a smorgasbord of suggestions. Every page inspires worried writers to explore new ideas to de-stress their lives. Hundreds of practical ideas and suggestions with a dash of humor. Writers, computer users, and anyone whose body and mind slip into stress needs to try this. People with backaches, headaches, jaw and repetitive movement issues, as well as sleep problems will love it. For many people, relaxation is the most needed and often the most difficult skill to learn. Here’s a proven method to teach anyone to recognize tension — and let it go. Throughout Relaxing the Writer Relaxation, Amber’s voice provides cues for breathing, tensing and releasing, and witnessing your body, guiding you along every step to release tension. Although not hypnosis, you may experience a dreamlike state disconnected from your mind and body. In this state creative answers and ideas emerge more easily. After using the audio for a while: Your breathing changes. Your body slows. You awake completely relaxed. After using the audio for a while, most people find that after the first few minutes, they may not even consciously hear most of the words until the final wake-up. Your breathing changes. Your body slows. You awake completely relaxed. The Relaxing the Writer Relaxation audio opens you to your creative wisdom, intelligence and insights. Relaxing the Writer Hand Meditation audio is a 10-minute concentration practice and a shortcut to a mini-meditative state. Because they possess some of the densest nerve ending and richest source of tactile feedback in the body, hands are ideal for this practice and can transmit calm to the entire body. Relaxing the Writer Hand Meditation can relax you in 10 minutes without the need to leave your desk. Listen as my voice guides you to shut out distracting stimuli by focusing your mind’s attention on one hand. Once you have developed that skill, you can create the feeling anywhere. What if you get an idea? It’s fine to stop, write it down, and continue, assured you won’t lose the thought. Or mentally file it away to access later. Relaxation One Breath at a Time is basically the same as Relaxing the Writer Relaxation. Confused? It’s an earlier version with the same two tracks for relaxing anytime and for relaxing to fall asleep. So, it’s a better choice for non-writers or for a gift for a non-writer. Same not- woo-woo techniques. And listen on Insight Timer App available from the App Store and Google play.